(Nairobi) – Rwandan authorities are rounding up poor people and arbitrarily detaining them in “transit centers” across the country, Human Rights Watch said today. The conditions in these centers are harsh and inhuman, and beatings are commonplace. New research indicates that the authorities have made few changes in a center in Gikondo, in the capital, Kigali, despite an earlier Human Rights Watch report on abuses there, and that similar degrading treatment prevails in other transit centers. A street in Rwanda’s capital Kigali, May 11, 2016. New Human Rights Watch research in 2016 has found that scores of people, including homeless people, street vendors, street children, and other poor people, are being rounded up off the streets and detained in “transit centers” or “rehabilitation centers” for prolonged periods. Detainees have inadequate food, water, and health care; suffer frequent beatings; and rarely leave their filthy, overcrowded rooms. None of the former detainees Human Rights Watch interviewed were formally charged with any criminal offense and none saw a prosecutor, judge, or lawyer before or during their detention. Following a September 2015 Human Rights Watch report on abuses at the Gikondo transit center, Human Rights Watch interviewed 43 former detainees from Gikondo and three transit centers in other parts of Rwanda: Muhanga (Muhanga district), Mbazi (Huye district), and Mudende (Rubavu district). Most of these interviews took place in 2016. Contrary to the designations for these centers, none of the people interviewed had “transited” to other facilities after their most recent arrest and most had not been through any “rehabilitation,” such as professional training or education, at the centers. “They correct us by beating us with sticks,” one man told Human Rights Watch. In November, just over a month after Human Rights Watch’s report, the Kigali City Council published a new directive regulating the Gikondo center, creating, for the first time, a specific legal framework. The directive contains provisions for improving conditions and granting certain rights, but leaves the door open for continuous arbitrary and lengthy detention. Many aspects of the directive have not been implemented and the situation in Gikondo has not significantly improved since 2015, Human Rights Watch found. While some former detainees described minor adjustments to the infrastructure and the provision of some activities, the center continued to be overcrowded, with bad conditions. Arrests and detention were arbitrary and unlawful, and police officers beat detainees. The new findings on the four centers Human Rights Watch researched – out of at least 28 across the country – were remarkably similar. Police or other groups responsible for security rounded up beggars, street vendors, or petty criminals, mostly in urban areas, and locked them up in the overcrowded, dirty transit centers. Most detainees in these four centers were not allowed to leave their room, except to go to the toilet only twice a day. In most cases, food was no more than one cup of corn a day, and several former detainees complained about the lack of drinking water or the opportunity to wash. Many said they had been beaten. In Gikondo and Muhanga, almost all those interviewed said they were beaten by police or by other detainees, often with sticks. Two adults detained in the center in Mbazi, close to the town of Huye, in southern Rwanda, said they were beaten when they arrived. “Every day, we have the ‘right’ to be beaten twice: in the morning and in the evening,” a former detainee from the Mudende transit center told Human Rights Watch. “That is our ‘right.’” The situation in Mudende, close to the town of Rubavu, in northwestern Rwanda, was particularly serious, with police officers, military, or other detainees beating detainees daily. As soon as detainees arrived, police officers hit them while forcing them to crawl on the ground to the room where they were to be detained. Human Rights Watch received information about several people who died during or just after their detention in Mudende, allegedly as a result of a combination of injuries from beatings, poor conditions, and lack of medical care. Human Rights Watch shared information about one such case with the Justice Ministry, which expressed willingness to thoroughly investigate the allegations. Human Rights Watch spoke to 13 children, ages 10 to 18, who had been detained in Muhanga and Mbazi, between June 2015 and May 2016. Most said they were street children. In Muhanga, children were detained in the same building as adults. In Mbazi, they were held in a separate building with slightly better conditions than the adults, but lacked proper hygiene and access to education. Several former detainees from Mudende and Gikondo said they had also seen children in these centers, ranging from infants held with their mothers to children up to about 18. Several former detainees said children were beaten in Gikondo and Muhanga. Human Rights Watch wrote to the Rwandan justice minister, Johnston Busingye, in March, May, and June 2016, to share its findings and to comment on the Kigali City Council directive. In a written reply on July 5, the Ministry stated that it is continuing to inquire “to make sure that there are no human rights abuses in Rwanda’s transit centres” and that it has “been assured that no ill-treatment incident has happened neither in Muhanga nor Huye or Mudende.” The Ministry said it would follow up any specific incident reported. The arbitrary arrest of poor people is part of an unofficial government practice to hide “undesirable” people from view, and contrasts with the Rwandan government’s impressive efforts to reduce poverty, Human Rights Watch said. Street vendors, many of them women, have been among the main targets. On May 25, the mayor of Kigali called street vendors “an impediment to cleanliness” and told them to form cooperatives. Several other government officials promised measures to improve the situation after Theodosie Mahoro, a street vendor, was killed on May 7, in Nyabugogo bus station in Kigali – illustrating the precarious conditions in which they and other poor people operate. Security guards tried to confiscate Mahoro’s goods and beat her severely, in front of many witnesses. She died almost immediately. The authorities arrested three security guards suspected of causing her death and promised to investigate. In a positive move, in November, the Kigali City Council adopted a new directive on the Kigali Rehabilitation Transit Center – the official name for the Gikondo center – laying out the center’s objectives and procedures. 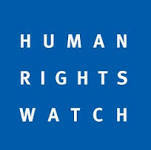 The directive addresses some of the issues Human Rights Watch had raised, in particular the lack of a legal framework. It also lists the rights of those taken to the center, including the rights not to be subjected to corporal punishment, harassed, or discriminated against, access to hygiene and health care, and the right to visits. Fundamental concerns remain, however. Rather than eliminating arbitrary detention, the directive seems to embed detention practices that could conflict with Rwanda’s obligations under international human rights law. Under the directive, the center is to receive people whose behavior disturbs public order and security – a broad and vague notion that could be applied to categories of people for whom arrest and detention are not an appropriate or lawful response. On March 4, Human Rights Watch wrote to the Justice Minister requesting, among other things, clarification about elements of the directive and voicing concern about the continued possibility for arbitrary detention in the center for an unspecified and possibly lengthy period. The Justice Ministry replied on July 5 that it appreciated Human Rights Watch’s analysis of the directive and stated that “you cannot deny the fact that the directive contains positive elements and it is a step forward among others to eliminate any form of ill-treatment in transit centres.” It did not provide more detailed responses to the specific points about the directive. Since the publication of the directive, Human Rights Watch has interviewed 12 former detainees – seven women and five men – who spent between four days and three months in Gikondo between October 2015 and April 2016. At least two were held for much longer than the period specified in the directive, and a third said she spent about two weeks in the detention center. Others spent an average of about a week in Gikondo. None said they had seen members of a commission or undergone a test. As far as they could see, police were the only officials “screening” detainees and deciding who could leave. Former detainees’ descriptions indicated that conditions inside Gikondo have not changed fundamentally. Some mentioned that walls had been repainted and toilet facilities renovated, but overall conditions remained very poor. Human Rights Watch interviewed 31 people – 13 men, five women, and 13 children – whom the Rwandan authorities detained in three transit centers – Mudende transit center (in Nyabushongo, Rubavu district), Mbazi transit center (in Mbazi, Huye district), and Muhanga transit center (in Mushubati, Muhanga district) – between September 2014 and May 2016. The 10 interviewed from Mudende had spent between a week and six months there; the 12 from Mbazi spent between one night and three months; and the nine from Muhanga were there between three days and three months. Most said they were arrested because they couldn’t show identity documents or were street vendors or street children; others were arrested for being drunk or for otherwise disturbing public order. Most had been arrested and detained in a transit center several times before – a pattern Human Rights Watch had documented in its 2015 report. One said he had been arrested more than 20 times. Another couldn’t even count the number of times he had been arrested and sent to a transit center. Despite the fact that the Rwandan government calls these centers “transit centers” or “rehabilitation centers,” all the people interviewed had been released after their most recent period of detention without being transferred anywhere. Most resumed their old habits or activities as soon as they were released, as they had no alternative way to earn a living. However, some said that some other detainees had been sent to a rehabilitation center on Iwawa, an island in Lake Kivu. Human Rights Watch spoke to a man who had spent nine months in Gikondo in 2015, was transferred to Iwawa, but was rearrested and taken back to Gikondo – for the sixth time – in April 2016, after his release from Iwawa. Justice Minister Busingye said in September 2015, in his response to the earlier Human Rights Watch report, that Rwanda had “chosen to focus on rehabilitating and reintegrating them [drug addicts and other criminals] to offer the chance for a better life.” The 2015 directive on Gikondo states that the center will provide activities and courses to encourage good conduct, as well as counseling and other support, but few of the former detainees interviewed had benefited from such activities or services. Human Rights Watch research in 2016 showed that rehabilitation or reintegration efforts are very limited at the transit centers. The majority interviewed were not aware of or given the opportunity to participate in training or education activities. One former female detainee mentioned that detainees in Gikondo were taught to make baskets; another remembered a presentation about savings. In Mbazi, Muhanga, and Mudende, no training was provided, but some former detainees remembered civic education activities about crime prevention, genocide commemoration, or HIV/AIDS. They say on the radio that the government is teaching professions in Kwa Kabuga [the unofficial name for Gikondo]. It’s wrong, because no one in our room received any training when I was there. There are no jobs in Kwa Kabuga. We stay in the room the whole day. Former detainees’ descriptions of conditions in the four transit centers were remarkably similar. They said that as many as several hundred people were crammed into one room. Some said that there was so little space that they had to sleep standing up. There was poor hygiene, vermin, and difficult and limited access to toilets, causing health problems. Most former detainees said they received a maximum of one cup of corn a day, sometimes mixed with beans. Some said they had porridge in the morning. Most detainees slept on the floor, others slept on mats or under dirty blankets, which several detainees had to share. Access to drinking water varied according to the location and period of detention. Some said there was no drinking water, while others said there was sufficient water. In its annual report for 2014-2015, the National Commission for Human Rights documented that in seven transit centers, including Mudende, there was no clean drinking water. Some detainees were unable to wash themselves or their clothes throughout their stay in one of the four centers, while others could wash sporadically or regularly. Inside, life is not good. They wake us up at 3 a.m., then put us in line, count us and write it [the number of detainees] down. They ask us what we owned before the arrest. There is no water. They give us only half a cup of corn. We have difficulties finding water to drink, except when we can go out to wash. We take a shower in the room. They give us a bucket for five people. We wash in front of everyone. We also defecate in front of everyone, as there are no doors. […] In the room, there are mice, lice and fleas. We tried to clean the room, but it didn’t help much. I have scars from scratching. Most former detainees only left their room to go to the toilet, which they were only allowed to do once or twice a day, in a group. If someone had to use the toilet in between these visits, they had to improvise inside the room. In Gikondo, some former detainees said they could leave their room for group prayers or exercises, known as mchaka. Others in other centers were only taken out for beatings or when officials counted the detainees. In these conditions, health problems such as malaria, cholera, and diarrhea were common, the former detainees said. Some said they had access to medication and that a nurse visited, but others received no health care. Some detainees were taken to a dispensary, sometimes handcuffed, for medical treatment. Some were released because they were very sick. Most detainees were arrested in public areas in towns or urbanized centers, such as bus stations or markets, by police, military, or by people described as “those who do the rounds” (private security guards in places such as Nyabugogo bus station in Kigali); asinkeragutabara, an auxiliary service of the Rwanda Defense Force; or as members of the District Administration Security Support Organ (DASSO). Several former detainees said that members of all these groups beat certain people during their arrest. Most detainees were then taken to a police station or post, where some were held for several days, often in bad conditions. The police beat some of them there. Police then transported them to a transit center in a police truck. In May, Human Rights Watch researchers saw a police truck with detainees arriving at the Mudende transit center. Three people arrested in Kigali were released from a police station after family members or acquaintances bribed the police or after a police officer intervened on their behalf. “Normally those who are taken to Gikondo are vagabonds and street vendors,” a male street vendor said. “[After I was arrested] I was able to inform people from my home area and they came to check my case. They found a (civilian) person of standing and gave him 10,000 Rwandan francs (US$12) that she gave to a police officer. That’s how I was released after three weeks in detention [in the police station].” Other people who had lacked the means to bribe police officers confirmed the practice. Police administering the transit centers often carried out a very basic registration of detainees before or on arrival at the transit center. Only one former detainee interviewed, from Mbazi transit center, said he had been questioned by a judicial police officer. None of those interviewed had been taken before a prosecutor or a judge, or officially charged with an offense, before or during their detention. Some Gikondo detainees received a token or a piece of paper indicating their alleged offense – for example “armed robbery” – but were given no opportunity to explain or defend themselves. Although the right to legal assistance is enshrined in Rwandan and international law, none of those interviewed saw a lawyer before or during their detention, nor did the officials running the center ask them if they wanted legal assistance. All former Mudende detainees interviewed said they had been beaten by the police who administered the center and by other detainees chosen by the police to maintain order inside the center. After getting out of the vehicle, they ordered us to lie down on our belly on the ground and walk with our hands one after the other, like a snake. When we arrived close to the door of the place where the policemen wash, they beat me with a padlock. They beat me all over. Further beatings took place during their detention, sometimes daily. Police and military officials sometimes also took detainees out of their room to beat them. When we arrived at Gikondo, they made us sit in line. First they beat the street children. They were police officers in uniform. Then they beat the women on their feet, saying […] “Why do you continue to sell in the streets? Why don’t you respect the law?” The men were lying on their belly and were beaten like this by the police on their buttocks. The police beat them with sticks. Me too, I was beaten on my shoulders. She said she still felt pain from the beatings several months later. Inside the four detention centers, detainees chosen by the police, and known as “counselors,” beat those who disturbed the order or who didn’t have money to give them. In Mudende, the “counselor” beat detainees with a knotted rope. They are very mean, but they are prisoners like us. If we have nothing [no money] on us, we are terribly beaten. I was not beaten myself, as I had 500 Rwandan francs [approximately US$0.60] that I gave immediately. The “counselors” punched others with their fists, to give a “stamp” on their back, or hit them with their elbows. The “counselor” was our boss. When someone spoke, he had to put his feet on the wall, like this. [He demonstrated how detainees were forced to stand upside down against the wall.] The punishment would only stop when everyone had to leave the room [for collective sports or toilet visits]. If [the detainee] fell, he was beaten by the “counselor”. In Mbazi, two of the 12 former detainees interviewed – a man and a woman – said they were beaten, but for them, the conditions in the center were an even greater concern. A former detainee from Mbazi said the conditions were worse than the beatings. Human Rights Watch interviewed 13 minors, ages 10 to 18, who had been detained in Muhanga or Mbazi. Former detainees from Mudende and Gikondo also said they had seen children in these centers, including infants held with their mothers. The presence of children in these transit centers is a step back, as Human Rights Watch had not received reports of children being sent to Gikondo between mid-2014 and September 2015. In Muhanga, children were held in the same center as adults, while in Mbazi they were held in a separate building, in slightly better conditions. They received more varied food, and a greater quantity, and could move around more freely, but adults who visited the children’s room said there was a lack of proper hygiene and no education. Most of the children interviewed who had been in Muhanga told Human Rights Watch that they were beaten by police who administered the center or by other detainees. Some former detainees from Gikondo also said they saw children being beaten. Most children had been arrested because they were street children. Two boys said they had gone to the Mbazi transit center voluntarily, looking for a better life. One ran away a few days after he arrived. A social worker took another boy out of the center, where there were no activities, to place him back in school. Most detainees were released on the decision of the police commander in charge of the center, sometimes assisted by other policemen, military, or local government officials. Releases were as arbitrary as the arrests. There were no clear criteria for deciding that someone could leave the center. Some were told they were being released because their room was full, others because they were sick or had apparently spent enough time in the center. Others did not know the reason. The “screening” is a selection of those that can go [be released] and those who stay. It is the [police] commander who does it. They bring us outside, the street kids, the street vendors, the criminals, everyone with his group. The afande [commander] says: “Street vendors, you go!” or “Street children, you go!” […] For the selection, there are three or four people, but the afande is the boss. The others are policemen in uniform, but the commander decides. In Gikondo, Mudende, and Muhanga, several detainees were released because they were seriously ill, or after a family member or acquaintance bribed one of the police officers in charge of the center. In some cases, a plea by an influential person led to a release. After the publication of the Human Rights Watch 2015 report, several Rwandan and international organizations discussed the situation in transit centers. In its 2014-2015 annual report, the National Commission for Human Rights described its visits to 28 transit centers across Rwanda. It confirmed several problems in the transit centers, but concluded that human rights were respected. Despite being nominally independent, the commission rarely expresses strong or fundamental criticism of the Rwandan government’s human rights record. In March 2016, the United Nations Human Rights Committee expressed its concern about the selection of the members of the commission and its perceived lack of independence. After the commission presented its report to parliament in October 2015, and a parliamentary visit to 11 transit centers, members of parliament were quoted in the media in March 2016, calling the transit centers “prisons” and speaking out against prolonged detention, including of minors. It isn’t even a transit center! In fact, those who are held in a transit center normally have a destination. That is, those who are held there spend some time, normally a short time, waiting to be transferred elsewhere. But we have become aware that those who are held in these centers spent as long as two months there, and then returned home. They don’t receive any training. In fact, we have realized that it is a prison conceived in another way. Several Rwandan radio stations broadcast discussions on the topic in late 2015 and early 2016. In a rare expression of critical views and debate – most Rwandan media tend to favor the government’s view – listeners called in and told their personal stories about detention in transit centers, while government officials in the radio studio denied that there were abuses in the transit centers. In March, the National Assembly endorsed a National Commission for Human Rights recommendation to revise a ministerial order on rehabilitation centers for minors. The Rwandan government is preparing a new legal framework on transit centers. Despite multiple requests to the Justice Ministry, Human Rights Watch has not received any details about this new legislation. After its March 2016 review of Rwanda’s human rights situation, the UN Human Rights Committee expressed concern about the fact that “homeless people and beggars continue to be detained without charge and without judicial oversight in Gikondo Rehabilitation Transit Centre, allegedly in extremely harsh conditions.” It recommended ending “involuntary detention of homeless people, beggars and other members of vulnerable groups in transit or rehabilitation centres” and abolishing the crime of vagrancy. An upcoming review of Rwanda’s Penal Code could provide a good opportunity to abolish this offense. Despite the Rwandan justice minister’s public promises to investigate and act on information related to possible human rights abuses, and despite multiple requests for information, Human Rights Watch is not aware of any investigation, prosecution, or other actions by the Rwandan authorities in relation to abuses in transit centers. Next KUJYA GUKORERA POLITIKI MU RWANDA: Ejo tuzahurire muri NORVEGE!